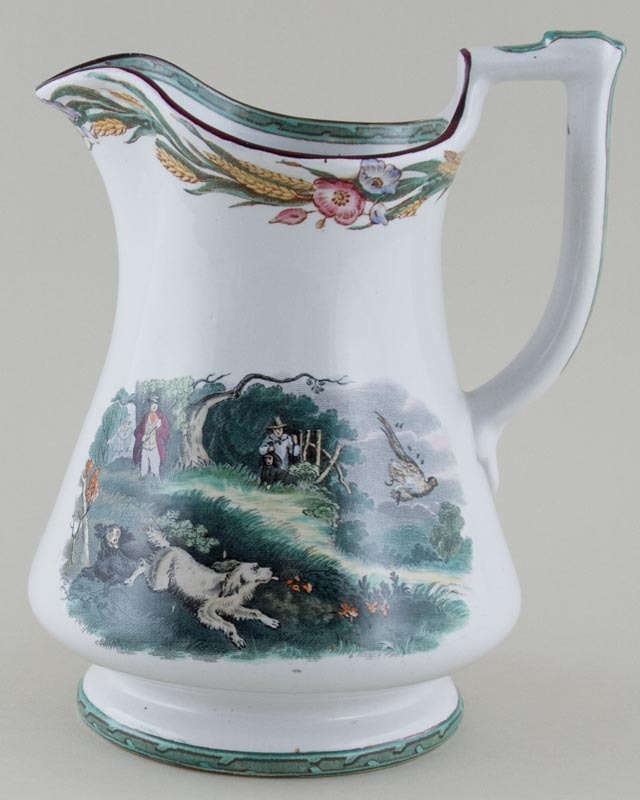 A most unusual jug with holes underneath, inside and inside the handle. The trick is to hold a finger over the handle hole which will then prevent water escaping from underneath! Lovely wheat and floral border around the outside rim. No backstamp. Light crazing otherwise excellent condition. OVERSEAS SHIPPING OUTSIDE EUROPE Owing to the size of this item a supplement of � about US$39 will be added to the standard overseas shipping charge.